Saint Croix Falls, WI (9/10/2018) – Bikeman Performance driver Jason Luburgh did double duty again as the Midwest SXS short track season finished out the 2018 tour at Crandon International Off-Road Raceway in Wisconsin. Luburgh competed in both the Midwest Short Course League season finale, as well as the Crandon World Cup, running both the Pro Stock and Pro Modified classes in a Polaris RZR. Luburgh was strong as ever at Crandon, but mechanical issues took him out of contention during both days of competition. 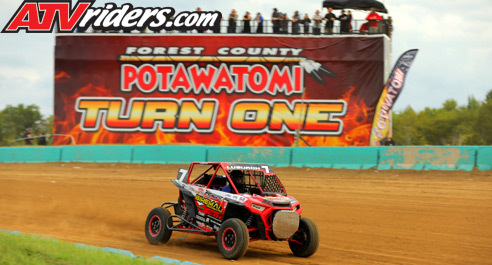 In the MWSCL finale, he qualified fifth in the Modified race, and made it to third before an issue slowed his charge. In Sunday’s Crandon Cup Pro Modified race, Luburgh, who won last year’s Pro Stock event, took the holeshot in the land rush start. He dogged the leader for several laps before taking the top spot. However, another stroke of bad mechanical luck took him out of the event. 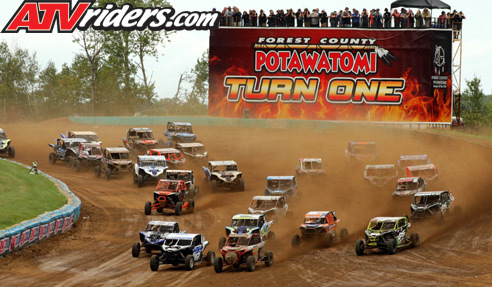 Luburgh appreciated some of the changes made to Crandon’s short track for the events. The track is usually known as a power track, but Luburgh found it more technical this time around. Though Luburgh struggled with mechanical issues this season, he said the team was strong and did everything it could to work through adversity. He said Bikeman exceeds all of his needs as a driver. He also lauded his Polaris RZR. The engineers and the Bikeman team worked together all season to improve the car. Luburgh has no doubt that next year’s car will be even better. Luburgh also appreciated his GBC tires. With several different models of tires to choose from, Luburgh always had the right tire for the different track conditions. AiM Sports also came on board this year and has been a key partner in the diagnostic and data areas. That data has led to more speed and faster lap times. Bikeman Performance and Luburgh will next visit Camp RZR in Glamis, CA. The unique event is scheduled for October 27-28.